And so, it is finally here. THE walk. 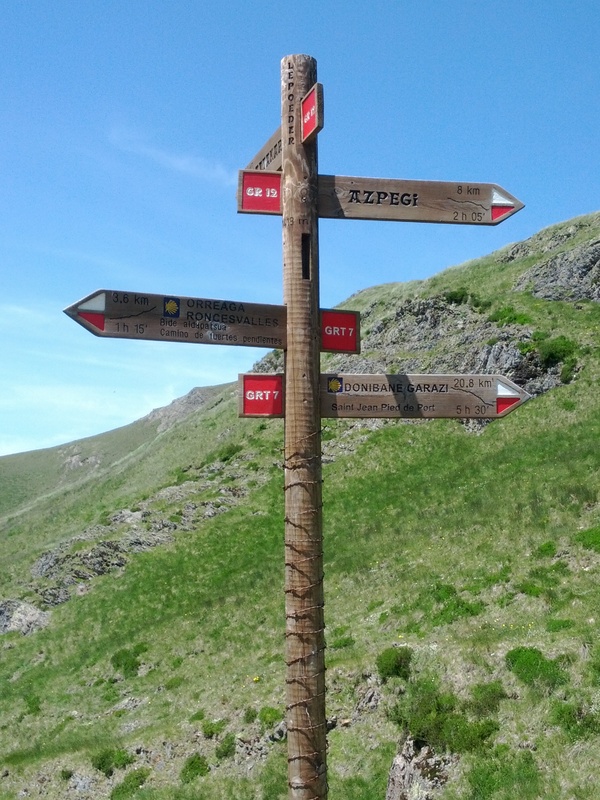 Yep, the 790 km across the north of Spain on the Camino Frances, beginning in Saint-Jean-Pied-de-Port, France – the ‘traditional’ route of the pilgrimage all the way west to Santiago de Compostela. It does indeed begin with a single step. In order to catch up on my blog entries, which have been more than a little difficult to keep daily during the walk, I am going to make the majority of the Camino entries photo blogs, since, as we all know, a picture is worth a thousand words, so in some weird way, I am actually going to be writing even more, not less. I will try to include the key points of each stage, though, along with a few impressions about the day for posterity’s sake. Enjoy! Note that the distances are taken from the ubiquitous English-speaker’s bible, “The Way of St. James” by John Brierley, or, as we call him, The Wizard of Oz. And so, without further ado, here are the facts from Day 1 of the walk. 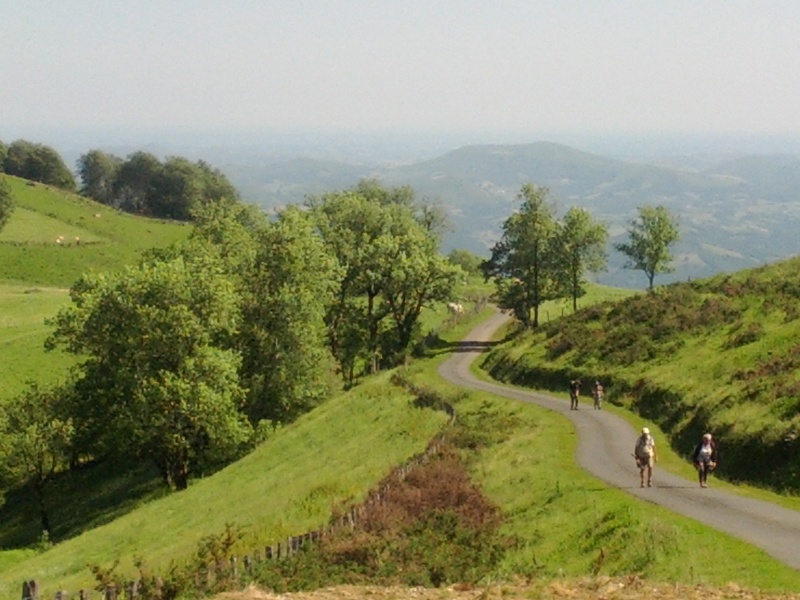 Route: Saint-Jean-Pied-de-Port, Huntto, Orisson, to the top of Col de Lepoeder in the Pyrenees mountains, into Roncesvalles. 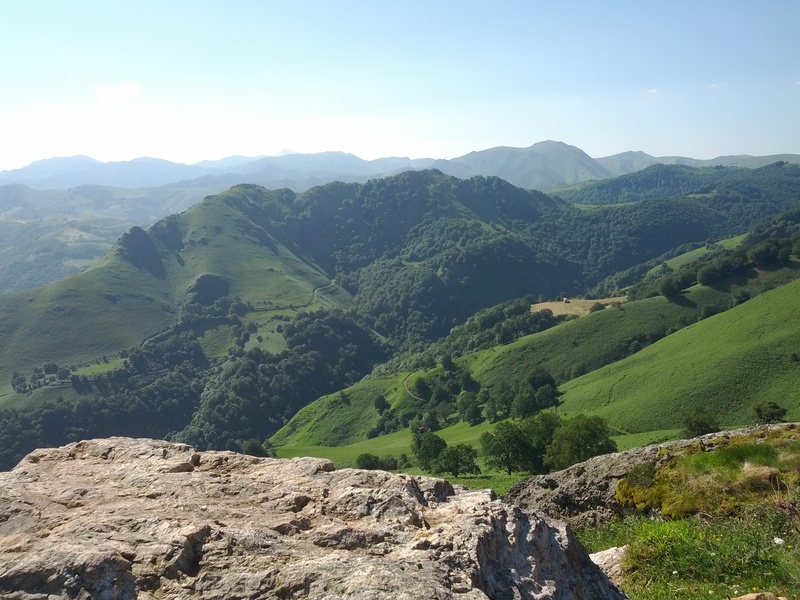 Day 1 took us across the very windy and steep Pyrenees mountains from St-Jean-Pied-de-Port in France to the town of Roncesvalles, in Spain – about 27 km. 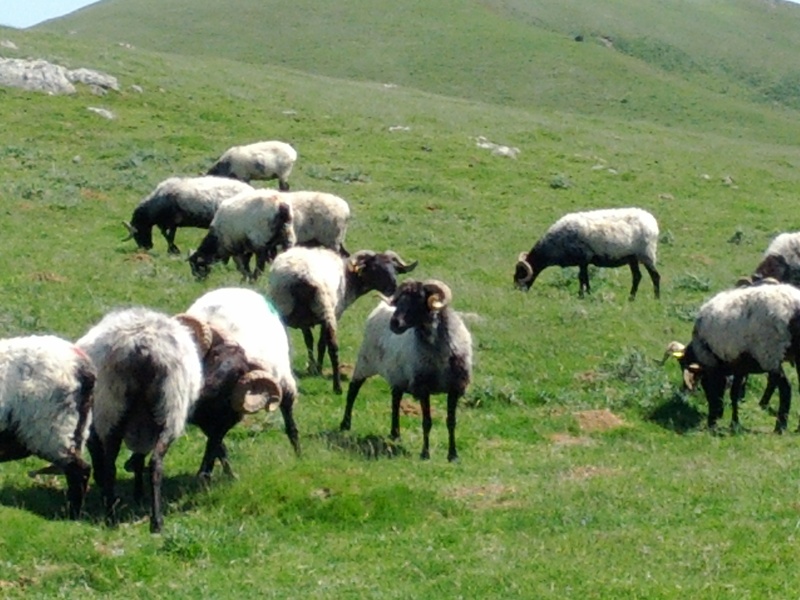 We passed a lot of sheep, cows and seemingly wild horses, and a few people on bicycles, and somehow managed not to get blown off the mountain. My hat went over the edge once, but got stuck in a bush that was fairly easy to retrieve in the grand scheme of things. We even met an entrepreneur way up there (the last stop in France before crossing into Spain) who was selling snacks including hard-boiled eggs, which we devoured! While the scenery was truly spectacular, I have never been so happy to arrive at a hostel in my life. It was large, clean, and had hot showers. What more could you ask for, really, especially for … was it 10 Euros for the night? Something like that. Also mentally thanked profusely my friend who gave me hiking poles for my birthday. They were indispensable! I honestly believe that I never would have made it up the mountain without them. This first day was definitely harder than I expected, and it left me with a certain amount of trepidation for the days to come. Apparently, this is the hardest day of the entire trek – let’s hope that’s true! PS. 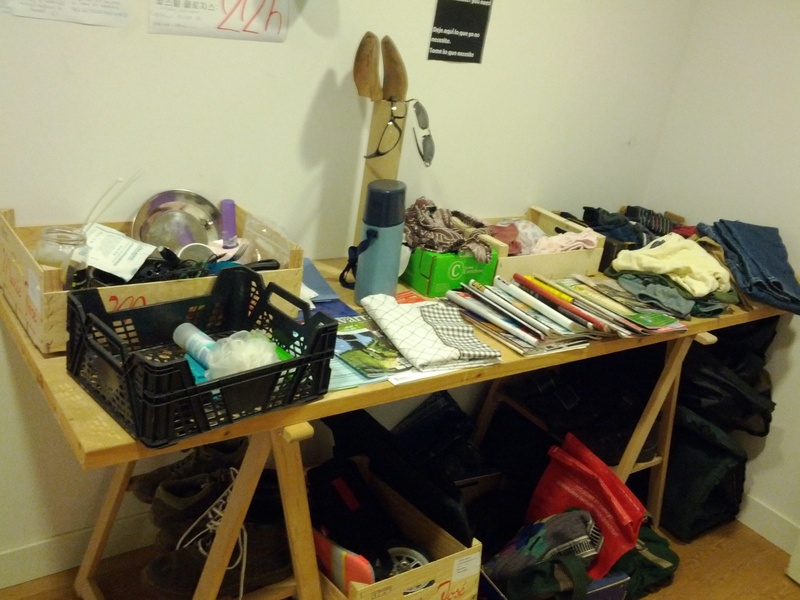 The last photo above is the table of ‘not so necessities’ that pilgrims have left behind after this first day, free for the taking if anyone is foolish enough to feel that their packs are not already heavy enough. Every ounce counts! 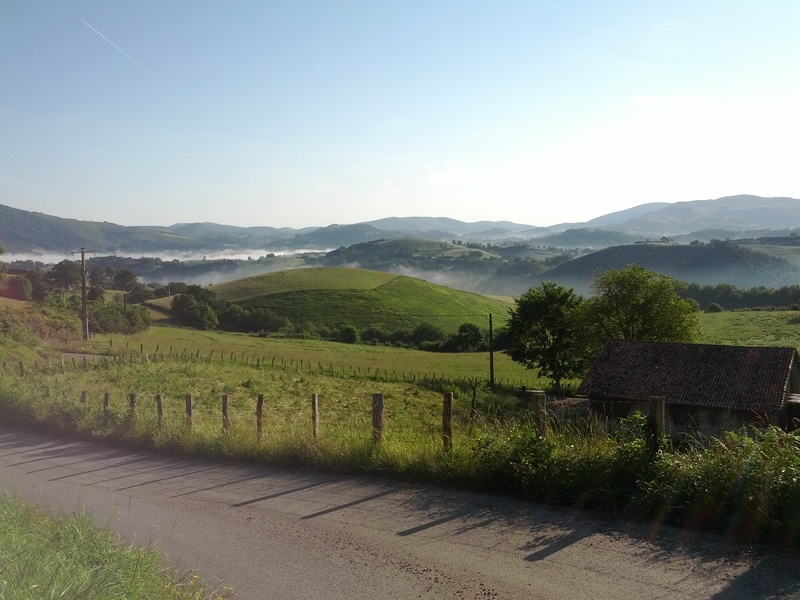 This entry was posted in Fitness and tagged El Camino de Santiago, fitness, June, Roncesvalles, Spain, St-Jean-Pied-de-Port. Bookmark the permalink. 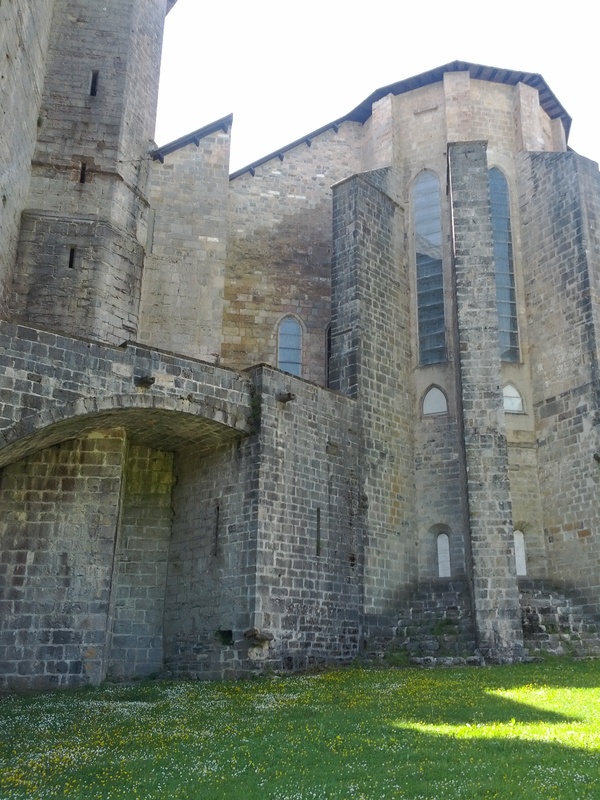 3 Responses to Day 106: Start El Camino Walk to Roncesvalles. 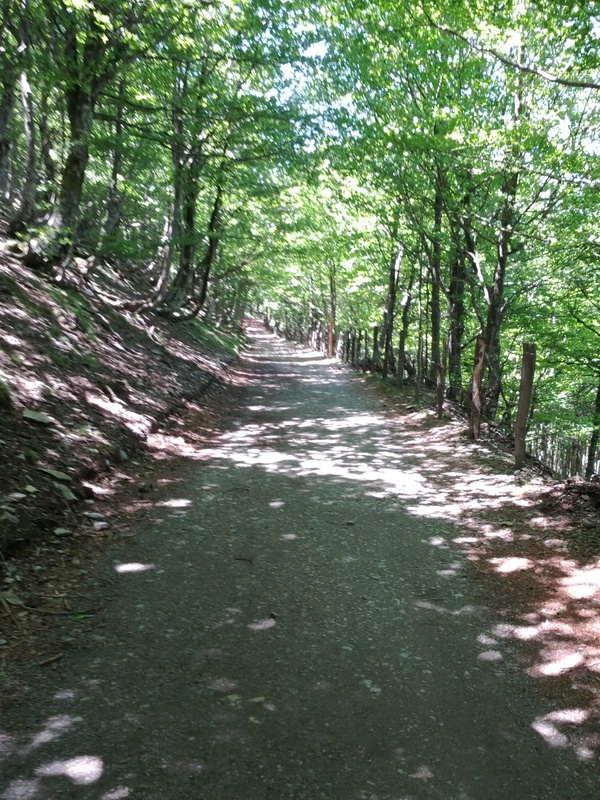 I will be writing a post on Camino lessons learned, and will definitely include some of your essential points. June and July weather has been great! From what I heard, 3/4 of May was rain this year. For your backpack, definitely less is more! Pack only what you need, and then take half of that. Recommendations are 10% of your body weight. Most women prefer 32-36 L sized packs. Mine was 50 L, and was waaaaaay too heavy. A lot of people end up posting their packs to a hostel in Santiago, and getting smaller ones with only the absolute necessities. Don’t forget to add the weight of water! Will write more later. Cheers!